Winery Reflections’ Nathan and Courtney Marton. “Bright strawberry, dry leaves, pomegranate seeds. Fresh cranberry, red poppies, tangerine. Portobello mushroom and sous bois, ground clove and baking spice. Tense and tightly wound with soft red florals & fruit fluttering around a densely structured spiced earthy core. Reminiscent of bowl full of juicy raspberries and cherry pits spilled onto loose sandy mineral undergrowth. 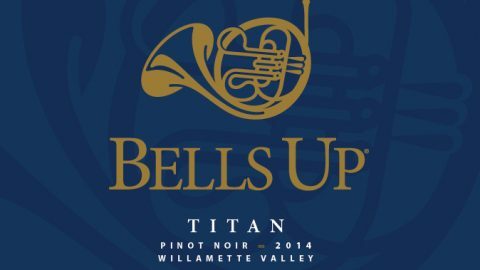 This 2015 “Titan” Willamette Valley Pinot Noir by Bells Up Winery is delicious, deliberate, and sincere Oregon Pinot. 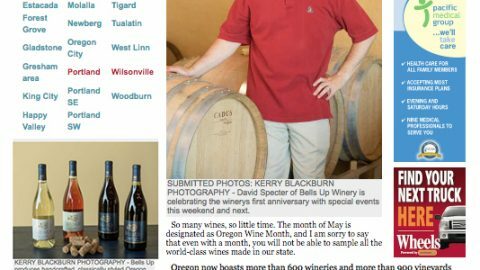 Bells Up Winery is a young boutique producer located in the Chehalem Mountains AVA of the Willamette Valley. Their estate vineyard was just recently planted in 2014 and is still maturing, so in the mean time the Bells Up team has reached elsewhere to source fruit for their current bottlings. 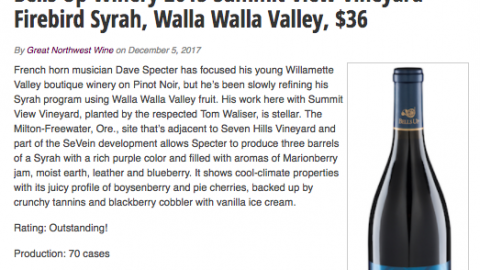 This wine, crafted using fruit from two separate but adjacent vineyards in the nearby Yamhill-Carlton AVA, is a seriously focused and well-built bottling. 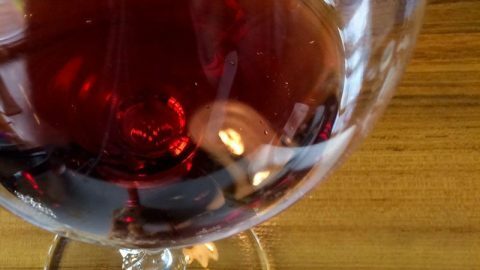 Pure & powerful fruit, driving acidity, a touch of tannin, and beautiful expression of terroir ensure that this Pinot will continue to develop and improve for years – although it sure is fun to drink now. Its beautiful almost iridescent red sheen is also completely captivating to look at. 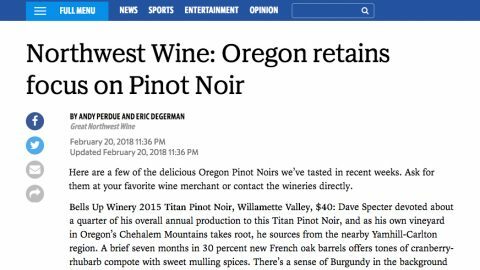 Now is the time to reserve your bottles of 2015 Titan Pinot Noir for pick-up at the winery or for fall shipping, as we are down to about 30 cases left. At its current pace, we will be sold out by Thanksgiving. Give us a call or email us today to purchase this wine.